1) Fresh! 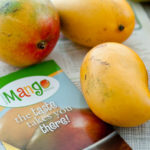 – Mangos, with their wacky-shaped seeds, aren’t as difficult to cut as you might think. 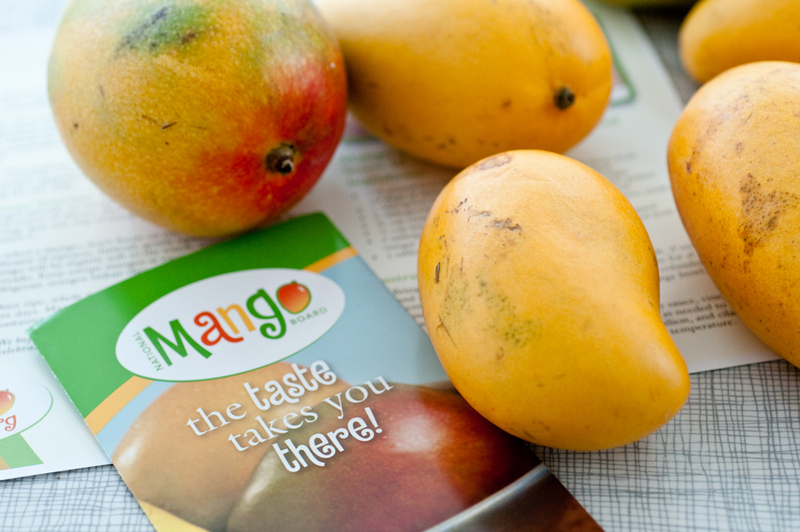 The National Mango Board recommends the following: When ripe (soft to the touch), stand the mango stem end down on a cutting board. From the center of the fruit, move the knife about ¼ inch to one side and slice down. Repeat on the other side. You end up with oval-shaped chunks of fruit known as the “cheeks.” Make a few horizontal and vertical slices in the cheeks and scoop out the flesh, as you would with an avocado. 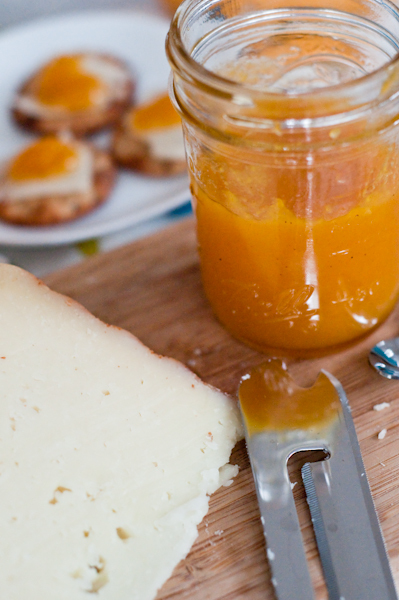 Remain standing at the cutting board and devour the entire mango. 3) Mango, Shrimp, Avocado & Spinach Salad – Top baby spinach with diced mango, avocado and grilled shrimp for a light, healthy, summery salad. 4) Strawberry-Mango Smoothie – Blend 1 cup of vanilla yogurt with 1 cup of frozen mango chunks and strawberries and orange juice to desired consistency. Makes two smoothies. You can double or triple the recipe and freeze in single servings. 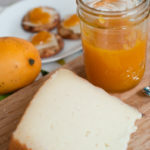 5) Abuelo Fune’s Mermelada de Mango (Mango Marmelade) – Clean ripe mangos and place them in a pot with water (up to ¾ of the way up – not fully covered). Boil until they soften, about 20 minutes. Remove from pot with tongs and cool on heat-safe surface. Once they have cooled, peel skin, place pulp in a strainer and remove remaining pulp from seed. Discard seed and skin. Strain pulp and measure in a dry measuring cup. Place strained pulp in a pot and add ¼ cup sugar for every cup of pulp (more or less to taste), a few sprinkles of cinnamon. Boil at low heat until mixture turns transparent and thickens. Test by inserting spoon and mixture clings to spoon (approx. 30-45 minutes). Once it cools, it thickens further. 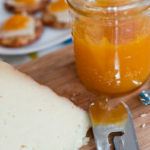 Transfer to clean serving cups or jars and refrigerate. 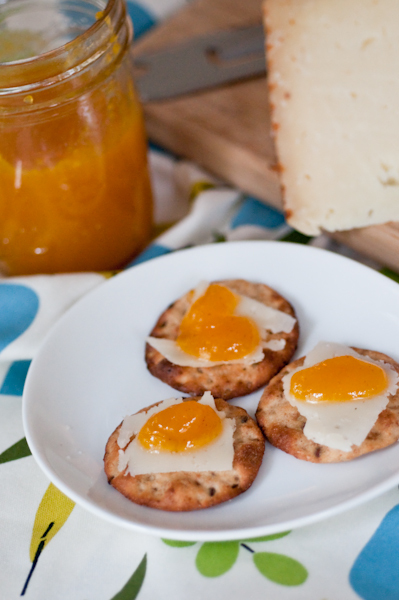 Serve on multigrain party crackers with a slice of manchego cheese or as a pancake topping. 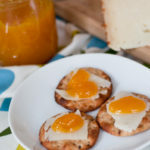 Mangos are a great source of Vitamin C and fiber and can be used in so many ways, such as those we already suggested, but have you tried mango in salsas and chutneys, as part of a sauce for meats? Get creative! 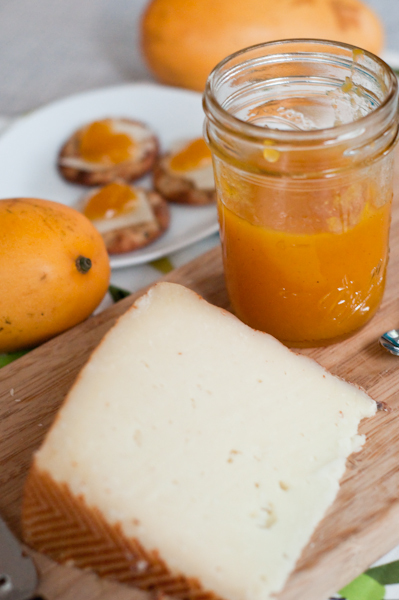 What’s your favorite way to enjoy mangos? 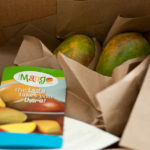 DISCLOSURE: The National Mango Board sent Stacey a big box of mangos to use in recipes. In no way did this gesture influence what is written in this post. Yum! 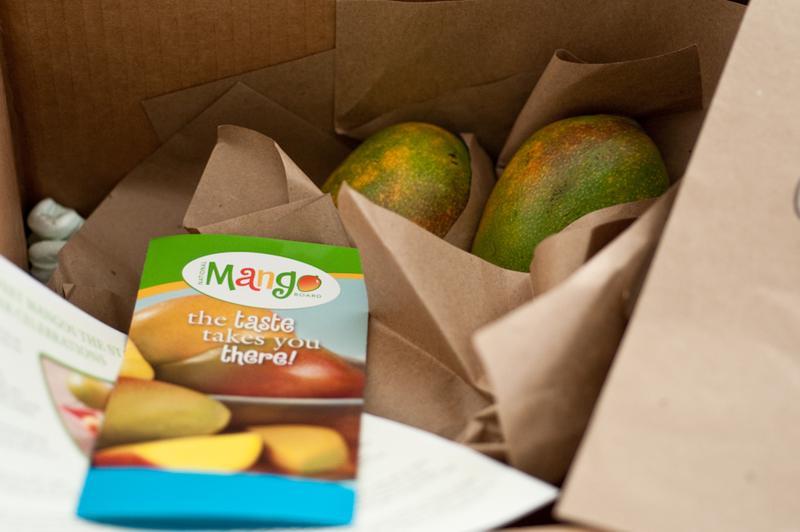 I miss Abuelo’s mangos. I love them in smoothies, mixed with berries or papaya and either plain greek yogurt or almond milk. Doesn’t even need sugar if the fruit is nice and ripe. So nice and refreshing! I want to note that if you are very allergic to poison ivy you should be extra careful when handling whole mangos. The oil that makes us allergic to poison ivy is in the sap of a mango tree, and I have gotten a reaction from handling whole, unpeeled mango and then touching my face. Our palms are pretty immune. Wow, Andrea. Who knew?! I always wash the skin of all produce, even if I’m discarding it. I did NOT know. Until it happened. Allergist was clueless and prescribed me an Epipen, my mom was obsessed with finding the answer. Lots of Googles later, she knew.